The Cattedrale di Santa Maria del Fiore (Cathedral of Saint Mary of the Flower) is a major tourist attraction in the city of Florence, in the region of Tuscany in Italy. 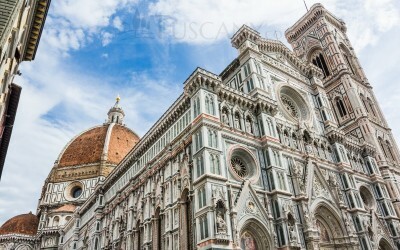 Being the major church in Florence, large crowds of tourists come to it for religious as well as sightseeing purposes. 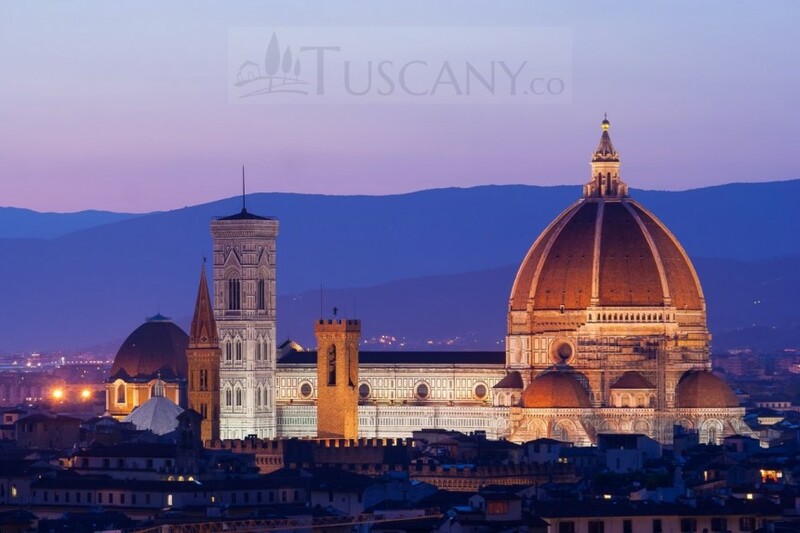 Located in the Piazza del Duomo, the Duomo di Firenze – as it is commonly called too – is set amid the UNESCO World Heritage Site along with the Baptistery and Giotto’s Campanile. 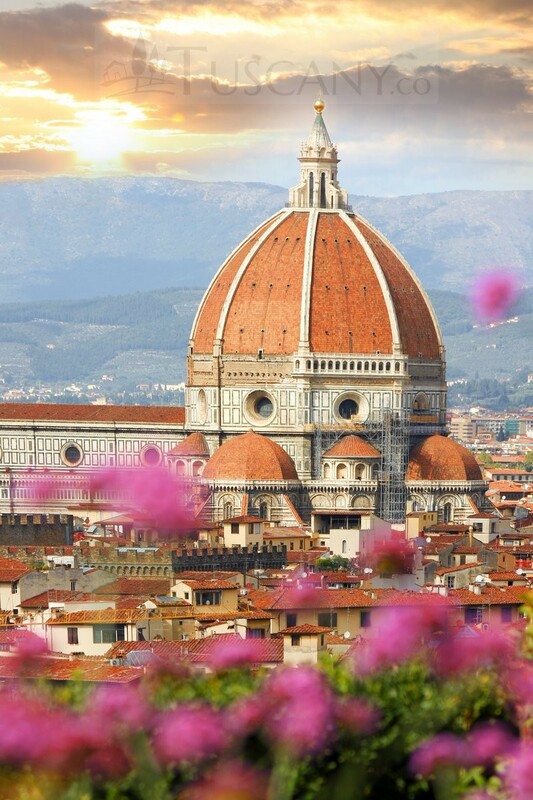 This cathedral is one of Italy’s largest churches, and at the time of its creation, the dome was the largest in the world. Due to modern methods of construction, it has now lost this prestigious rank. However, at the height of 114.5 meters, it still remains the largest brick dome that was ever constructed. 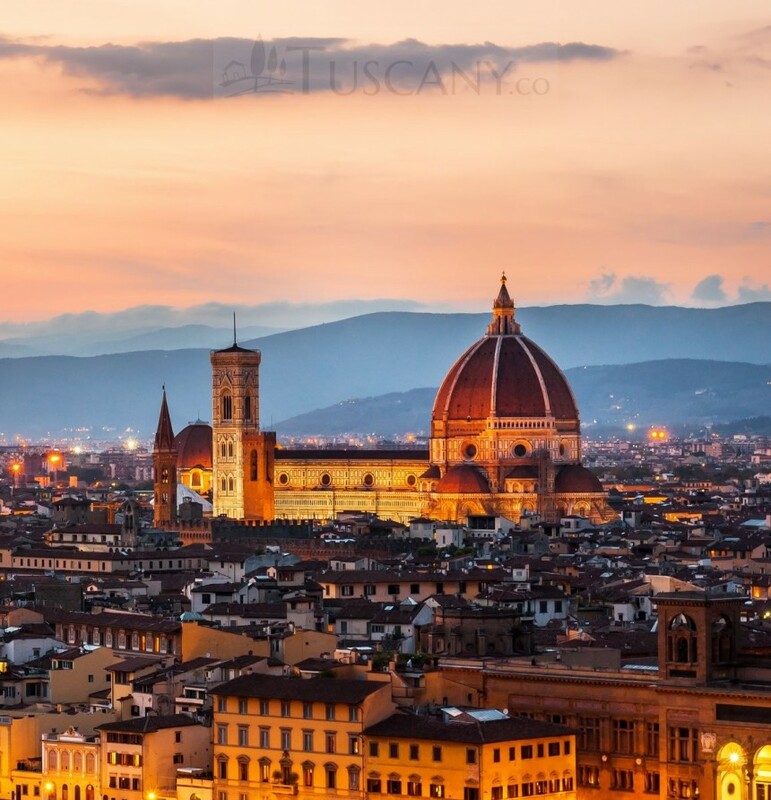 The Duomo was built on the site of the old cathedral dedicated to Saint Reparata – whose remains can be seen in the underlying crypt – and was originally designed by Arnolfo di Cambio, who was also the architect of the Basilica di Santa Croce and Palazzo Vecchio. The construction was initiated from 1296, but after the death of di Cambio, many other architects took over this project in turn. 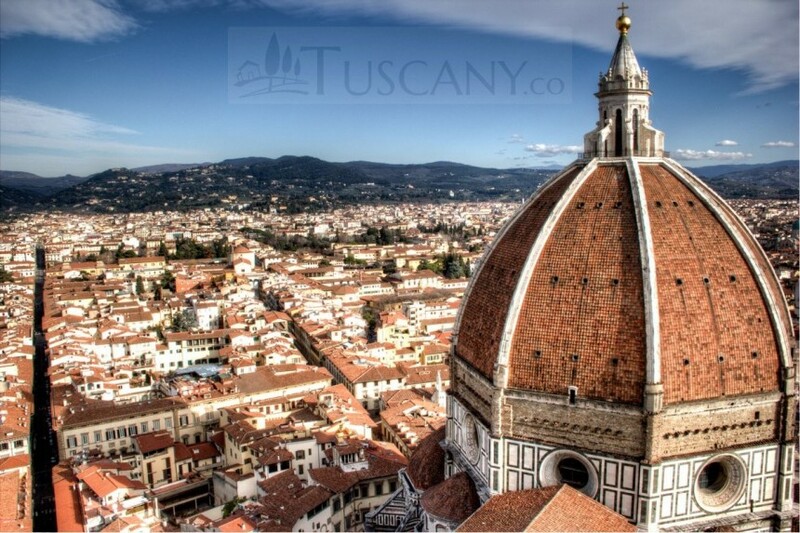 Ultimately, it was completed in 1436 (after nearly 140 years) with the magnificent Dome by Filippo Brunelleschi. 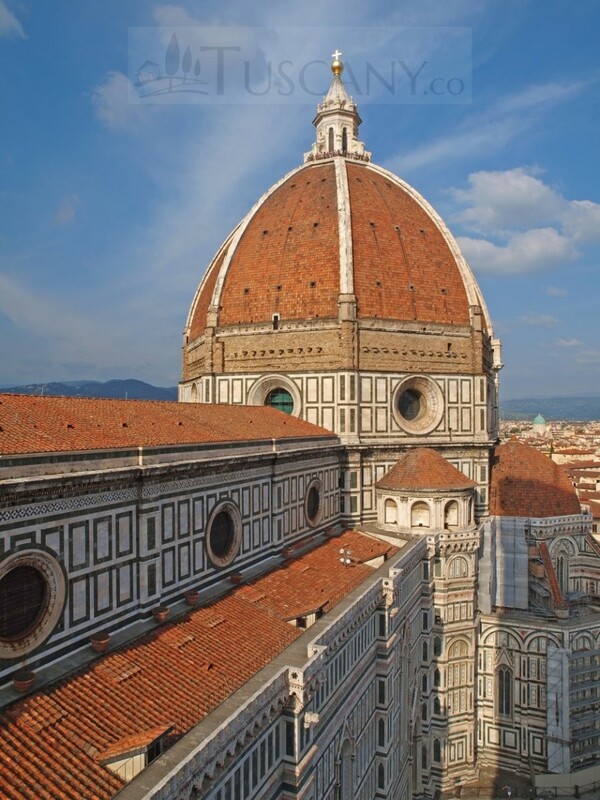 The Dome of the cathedral is octagonal in shape and it was the first dome of its kind to be built without a wooden supporting frame. The cathedral has seven doors in all, several of them depicting sculptures of famous artists, such as Nanni di Banco and Donatello. Out of the six ornamentally decorated windows installed within the structure, only four admit light into the interior, the other two windows are for decoration purposes only. There are also 44 other stain-glass windows created by some of the most famous Florentine artists of those times, among which Lorenzo Ghiberti and Donatello, that depict saints from the Old and New Testament; this is one of the most notable features of this church. 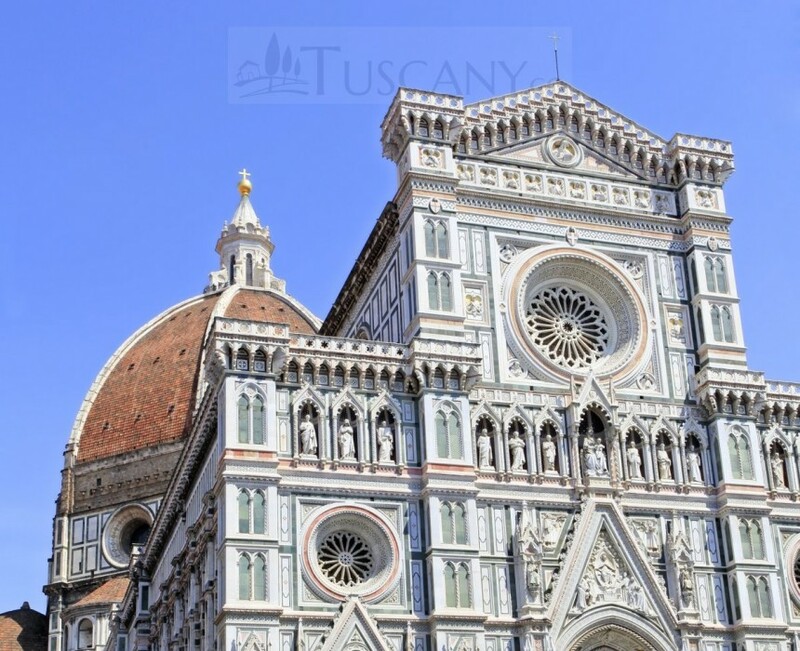 The exterior of the basilica is decorated with multi-colored marble panels in shades of green, pink and white to replicate the decorated walls of the other two buildings in the Piazza del Duomo, i.e. the Baptistery and Giotto’s Bell Tower. The cathedral has a 19th century Neo-Gothic facade designed by Emilio De Fabris. The interior of the cathedral is vast and gives an empty appearance to visitors when they first walk in. Closer inspection will tell you that the entire place is decorated with various paintings and works of arts, increasing the historical worth of this structure. It is built in the form of a basilica, having a wide central nave of four square bays, with an aisle on each side. The entire plan of the church forms a Latin cross when seen from overhead. 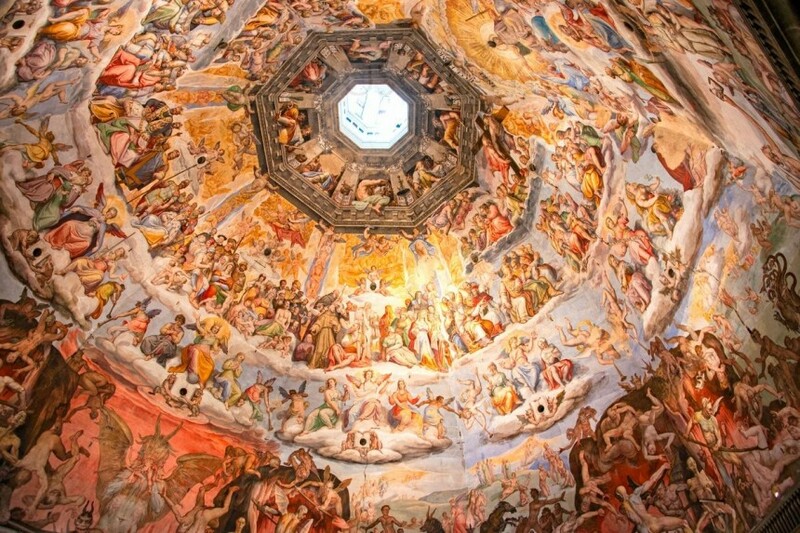 The magnificent Dome is depicted with a representation of The Last Judgment, a gigantic fresco committed to Giorgio Vasari by Grand Duke Cosimo I de’ Medici in 1568. 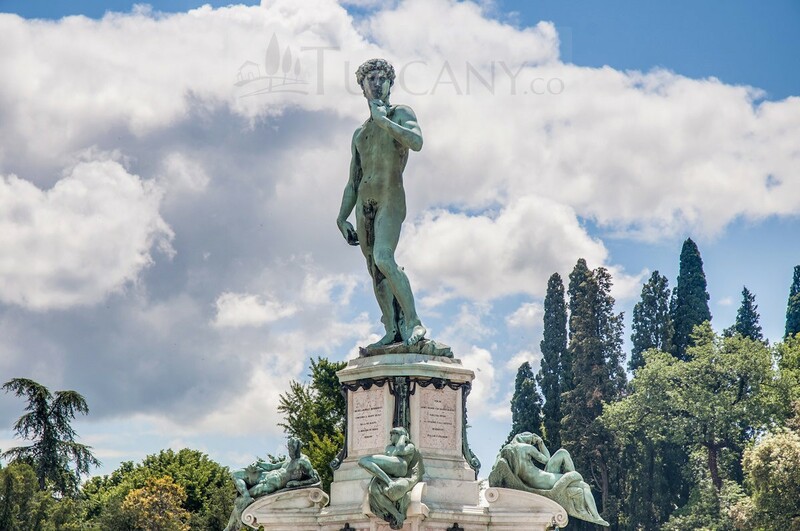 Vasari could only start his work: he died in 1574 and so the assignement passed to Federico Zuccari, who completed the huge opera in 1579. A unique piece of decoration is a clock set above the main door. It is decorated by frescoes of four Prophets made by Paolo Uccello. This amazing clock is one of the rarest time-pieces available that depict a 24 hour clock that strikes the 24th hour at sunset. This time setting had been used in the 18th century and this clock is one of the few working time-pieces of that era. The crypt under the cathedral has been the place of burial for many Florentines. 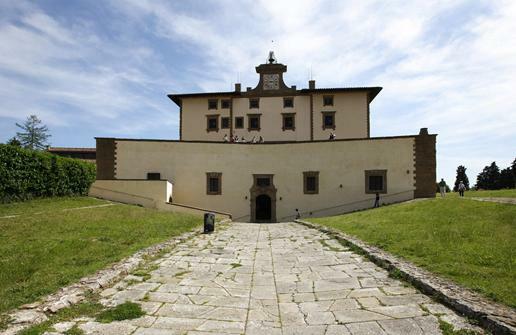 Near to the entrance of the crypt, in the area open to public, Brunelleschi’s tomb is located. 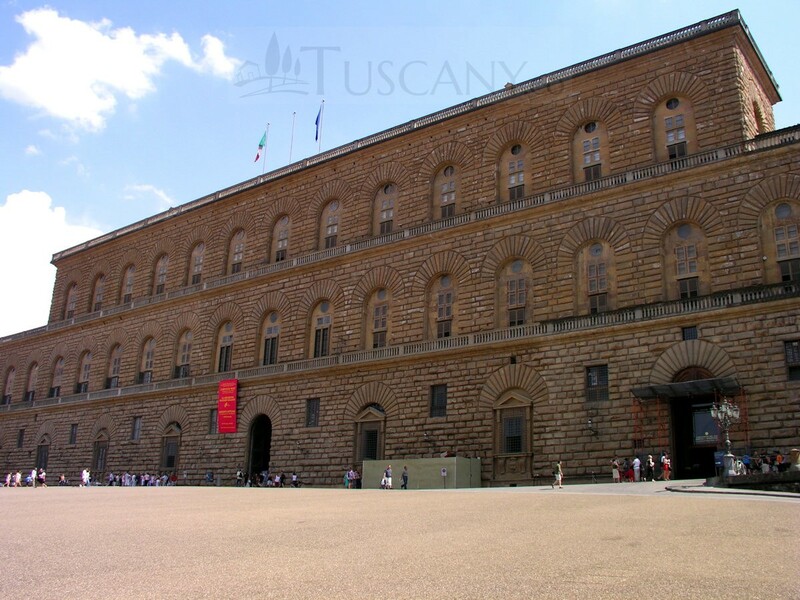 Giving him such a prestigious burial place shows that the Florentines give high esteem to the architect. 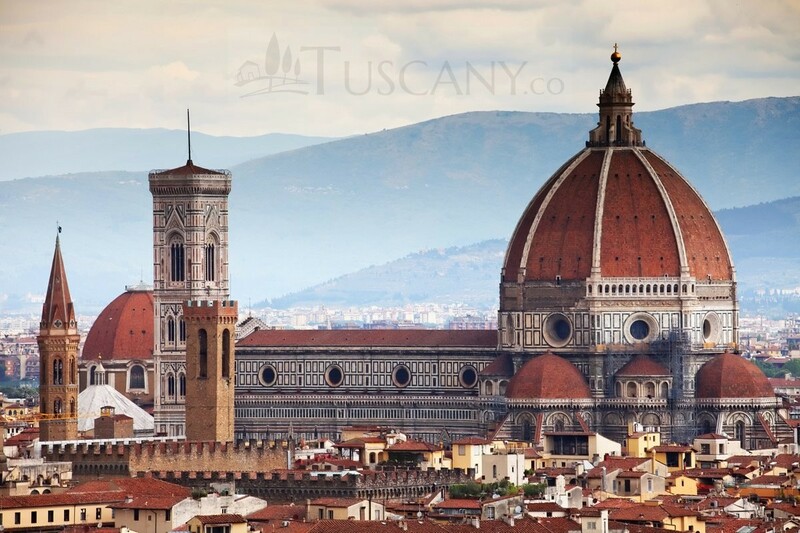 A huge statue of Brunelleschi is also present in the Piazza del Duomo, positioned in such a manner that it seems like he is looking up at his greatest accomplishment, a masterpiece: the massive Dome that will forever dominate the skyline of Florence! 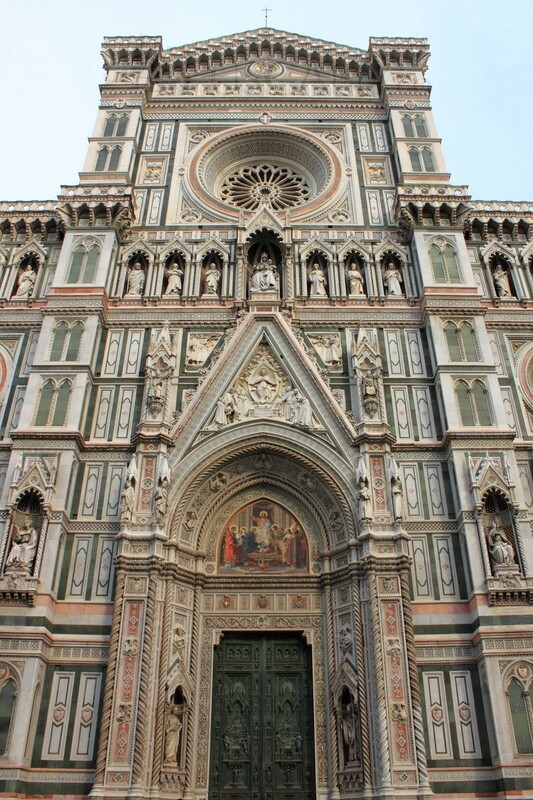 No tour of Florence city is complete without a visit to the Cattedrale di Santa Maria del Fiore.